Exams like the SAT and HSA aren't like your regular school tests. This probably isn't news to you, but you should know that can't just study for a week and hope for the best. These standardized test takes months of preparation and practice exams, to score well. Yeah, we know that sounds scary and daunting—but don't stress! Here are a few pointers to help you out and make sure you study effectively and efficiently so that you ace that exam. Don’t procrastinate! Take a little time out every day and do practice questions. This gives you plenty of time to improve and increase your scores and you’ll be much more confident when the test date rolls around. If you know you’re required to write an essay for your exam, prepare some topics ahead of time. Think of different books and experiences that can be used for various prompts or Google sample essay questions. Practice questions can get repetitive and boring. If you learn best from working with other people, form a study group with your friends and do questions together. Afterwards, you can help each other with questions you all got wrong and learn from each other’s strengths. Through practice tests, you can identify your strengths and weaknesses. This will allow you to figure out what areas you need to spend more time and improve on. The topics covered in the High School Assessment (HSA) range from English and Algebra to Government and Biology so if your knowledge of a specific topic is a little weak, dedicate extra study time to it. 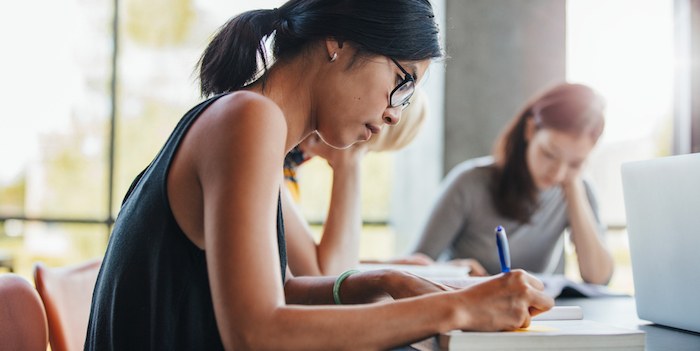 Four hours of testing does not sound appealing at all, but sitting down and taking an entire practice exam will give you the most accurate representation of how you will most likely do on the actual test day. While exams such as the HSA are shorter in length, there is a wider range of topics that are being covered so be sure to do run-throughs of each. Sleep is so important for the brain to function properly. Make sure you get enough rest not just the night before the big day, but also during the months leading up to the exam. Do you have any big exams coming up? Have you started studying yet? Share your study tips in the comments below.